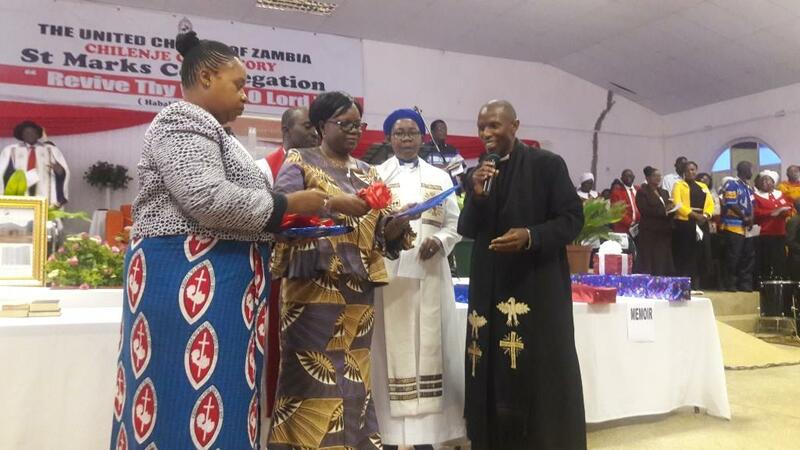 National Guidance and Religious Affairs Permanent Secretary Katongo Chifwepa congratulated the United Church of Zambia (UCZ) for successfully launching the first ever English hymn book in the Church. 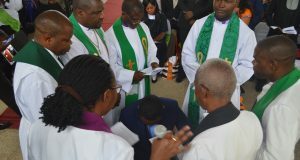 This was during the launch of the English hymn book and the UCZ Golden Jubilee Memoir held at St. Marks Congregation in Lusaka on the 18th of February. It was a remarkable day in the United Church of Zambia (UCZ) Calender as it marked the beginning of a new era with regards to music in the church. She said that the move to launch this hymn book shows that UCZ has a good will to promote unity in Christ and encouraged other congregations to get inspired by St. Marks Congregation which was the initiator of the English hymn production, and to follow suit with such fruitful ideas and also to make sure they buy a copy. 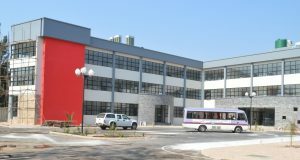 Chifwepa also commended UCZ for working towards the provision of social services such as Education and Health thereby assisting the government see to it that all citizens have access to such vital needs. Launching of the English Hymn Book and the Golden Jubilee Memoir by the Synod Bishop and the General Secretary. Also speaking at the same event was United Church of Zambia University Chancellor Professor Dickson Mwansa who highlighted that the memoir shows where we have come from as a church and also includes all the celebrations as well as the songs created over a period of time. He added that the book covers some of the most important accomplishments of this church and thanked everyone for the continued support. Meanwhile, UCZ administrative secretary Rodgers Ng’ambi encouraged church members who attended the same event to continue to participate in the mobilization of resources that will help complete the Complex which is scheduled to be ready by 31st March 2018. He ended with a reminder to members of the church to maintain hygienic standards at all times by avoiding physical contact, washing hands with soap after using the toilet and avoid eating stale or uncovered food because Cholera is still a danger to all of us. 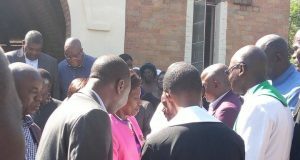 The event was also graced with the presence of different Church and Government officials starting from the Synod Bishop to church workers and government representatives. For a while, the United Church of Zambia has had to use various interdenominational English hymn books. However, the new hymn book not only contains a variety of Melodious hymns previously used by different churches but it also contains Hymns that have never been translated to English ever before but have existed in other languages.